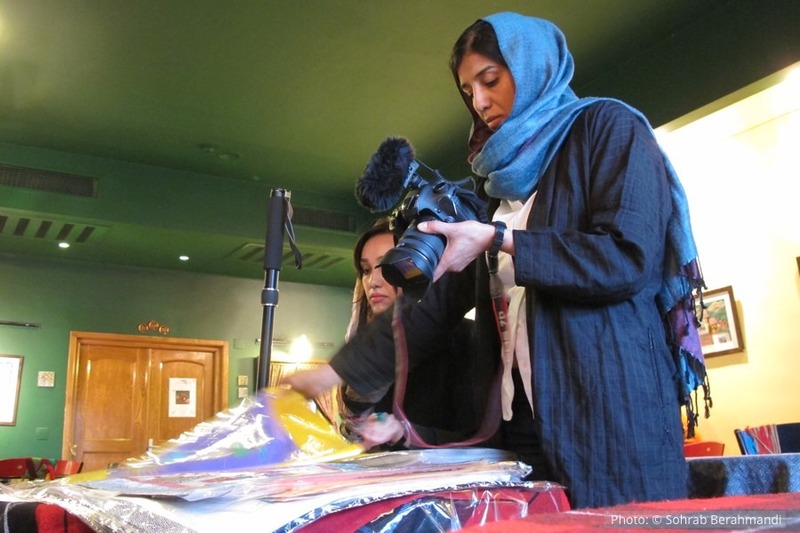 I’m a photojournalist and documentary filmmaker from Tehran, Iran. After receiving my Bachelor of Arts in photography from Azad University in Tehran, I worked for a number of Iranian newspapers and magazines, among them Akhbar, Hamshahri, Zan, and Azad. Since 2002, I have been a freelance photographer and documentary filmmaker, with my work published in well-known international publications such as Le figaro, Süddeutsche Zeitung magazine, Stern, Boston Globe, Fortune, L’Humanité, Elle, Welt am Sonntag, Cicero, and Jane’s magazine. My work on Zoroastrians in Iran was published as a book, in collaboration with two other photographers. My interest has always centered on the human aspects of life, in war and peace. I’ve documented the enthusiasm of female football players in Iran with just as much passion as I’ve been following the fate of young women in Afghanistan who end up in prison for no other crime than resisting age-old tribal traditions by falling in love with the wrong man. Close collaboration with Unicef and the UNHCR has taken me to the abyss of human existence more than once. If you look around my website, you will see many pictures of people in despair – victims of chemical attacks, refugees of war, poor and seemingly without chance for a better tomorrow. Thank you for your interest in my work. Please feel free to send me a message if you have questions or would like to get in touch. Kazakh immigrants , Gorgani gallery, Gorgan, Iran, March 1999. Afghan people, Silk Road gallery, Tehran, March 2002. South America Another page. Artists’ House, Mirmiran Gallery, Tehran, September 2006. South America Another page, Hoze Honari of Guilan Gallery, Rasht, Iran, November 2006. South America Another page, Melal Cultural Center, Tehran, January 2007. The First Exhibition of the alumni of the Art school of the Azad university. Museum of Tehran, July 1998.